People have a great time at the campsite! The campsite organises activities for people of all ages, so everyone will be happy! Whether you're looking for peaceful or active holidays, you'll love your stay with us. 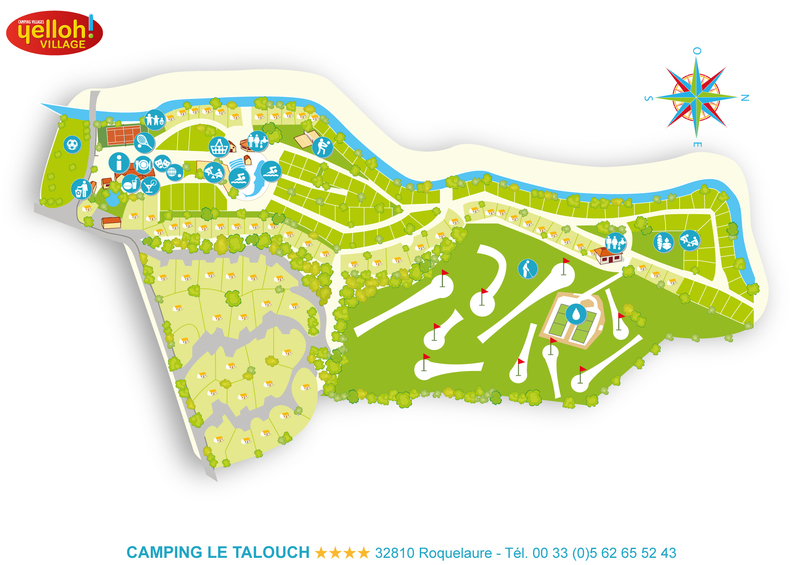 In the campsite, you'll be able to enjoy tennis, swimming, Swin-golf, pétanque, inflatable slip 'n slide, mountain biking, volleyball, Olympiads and more, as well as aquatic games in the swimming pool. And after an entertaining day, come and enjoy a pleasant evening with karaoke, mini-miss elections, playback show, games of douaniers contrebandiers and more! If you enjoy the countryside then Gers will fit the bill just perfectly! On foot or by mountain bike, various hiking circuits are available. And so you don't get lost, the campsite will arrange for you to have GPS available so that the trails will be easier to recognise. So come and explore the hills and plains of the Pyrenees! Culture vultures, meanwhile, will also be busy here, with opportunities to visit local farms and Gascon villages in the region, which you'll love. So don't hang around, come and visit Toulouse, the "ville rose", with its monuments, its Cité de l'Espace theme park and the Airbus museum. And people who are after a more active time may choose to do a spot of canoe's on the rivers of Gers, or some adventure tree-climbing or opt for a quad bike outing!